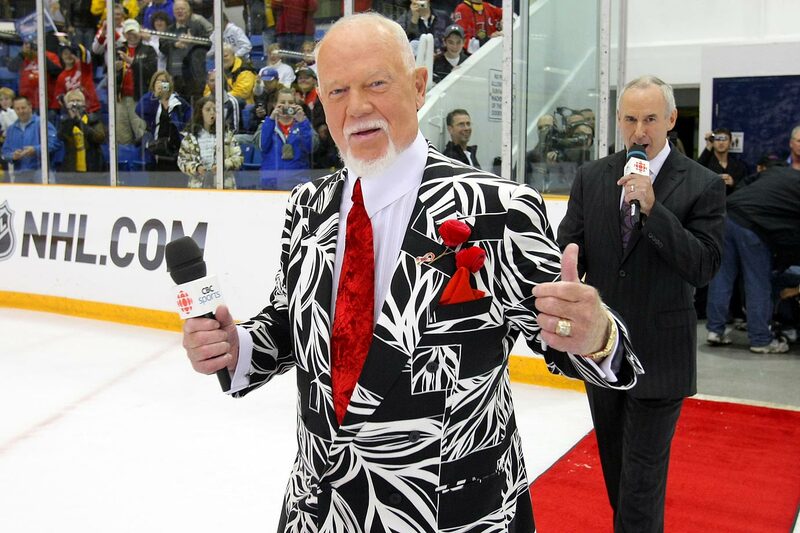 Love him or hate him, Don Cherry is Hockey Night in Canada's biggest draw and he was wisely given a new contract. 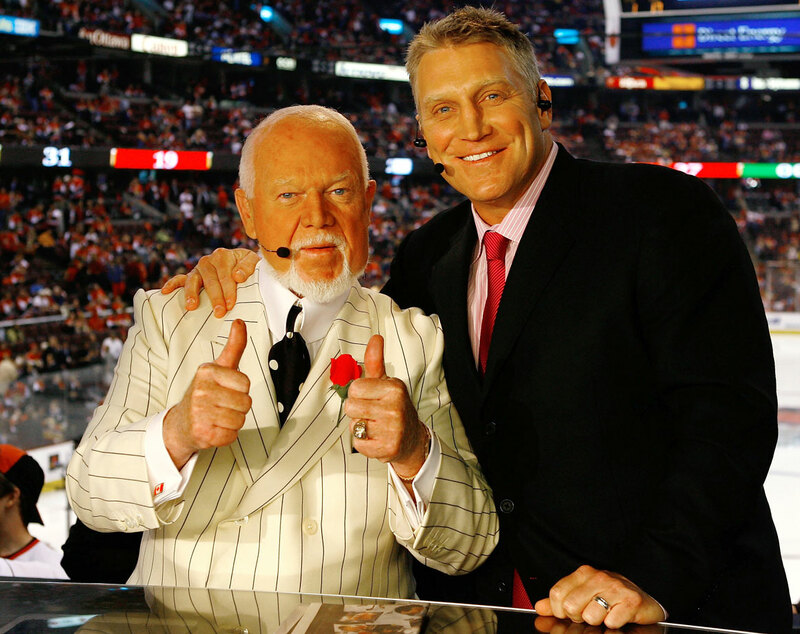 Hockey Night in Canada faces changes ahead of the 2016-17 season, but it won't lose its biggest draw. 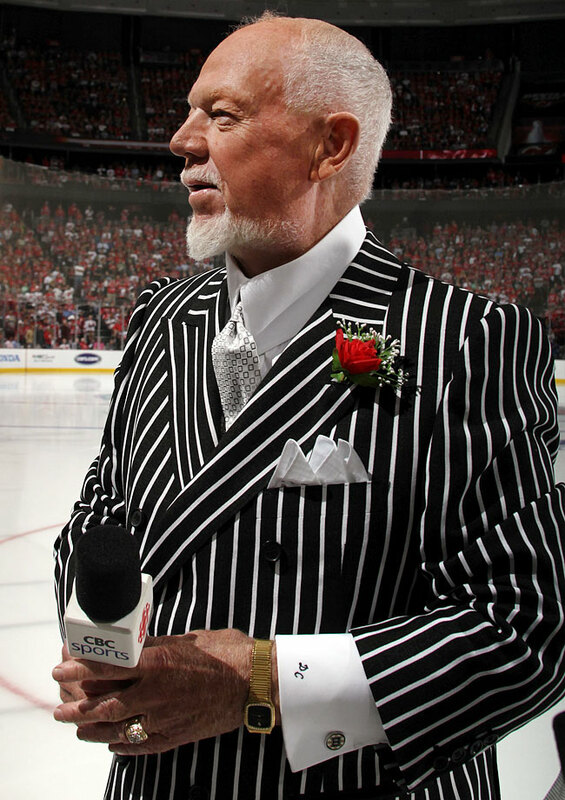 Don Cherry, the star of Coach's Corner, has agreed to a multi-year deal with Rogers Sportsnet, according to The Canadian Press. 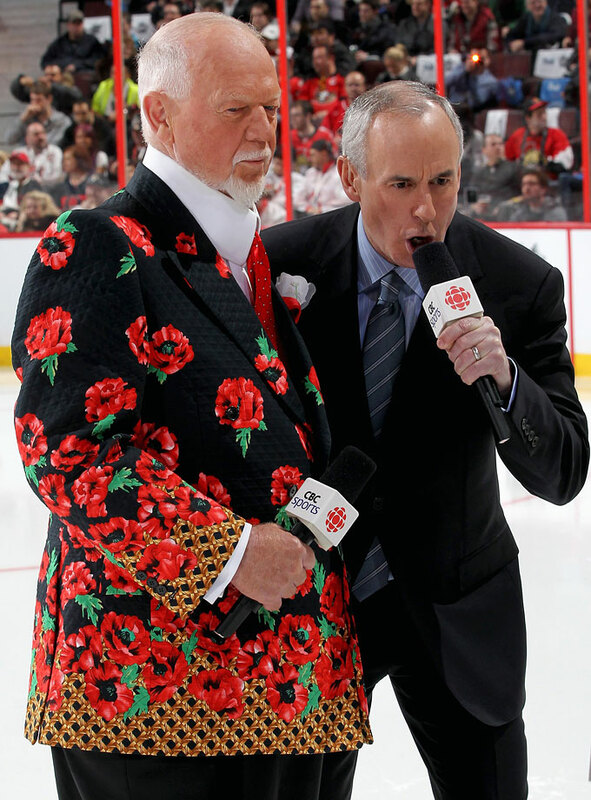 Loved by millions—and hated by millions more—the bluntly outspoken Cherry is undeniably the most iconic figure in Canadian broadcasting. 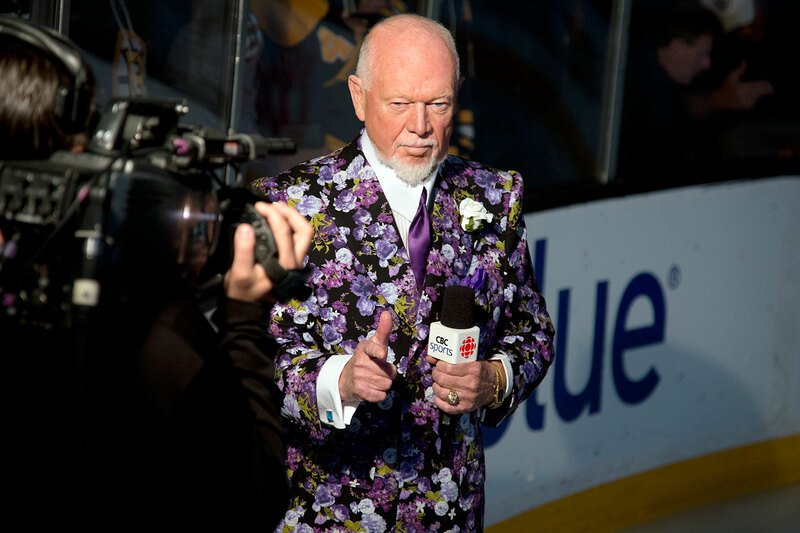 Even at 82, he remains the most vital part of HNIC, the one must-see element of a program that has struggled to find a sweet spot since being taken over by Rogers prior to the 2014-15 season. 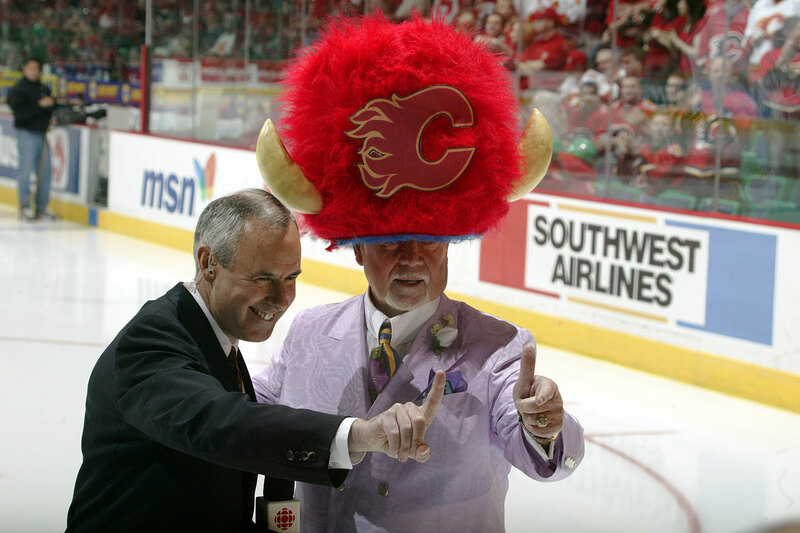 It's fair to say that his bombastic style and dogmatic adherence to the code of old-time hockey doesn't hold sway the way it did even 10 years ago. His "I was right" schtick has gotten tired. 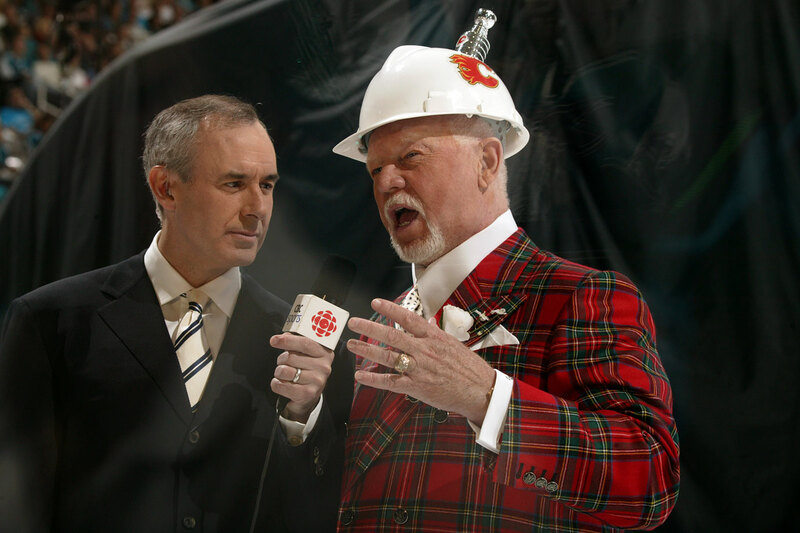 And his fractured syntax and willful malapropisms madden those who'd prefer a more erudite discussion of the game. 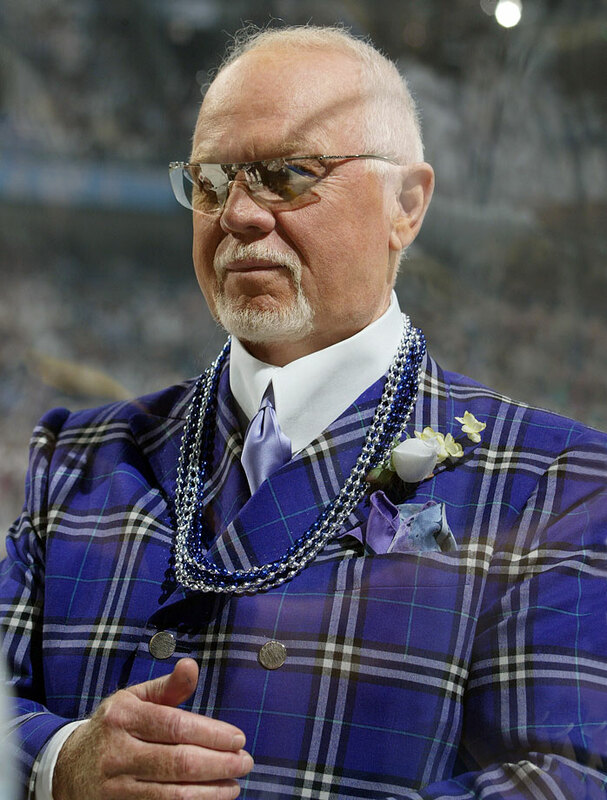 But Cherry dissects the game in a way that speaks to both the guy watching from his couch with a six-pack and the hockey lifer alike. 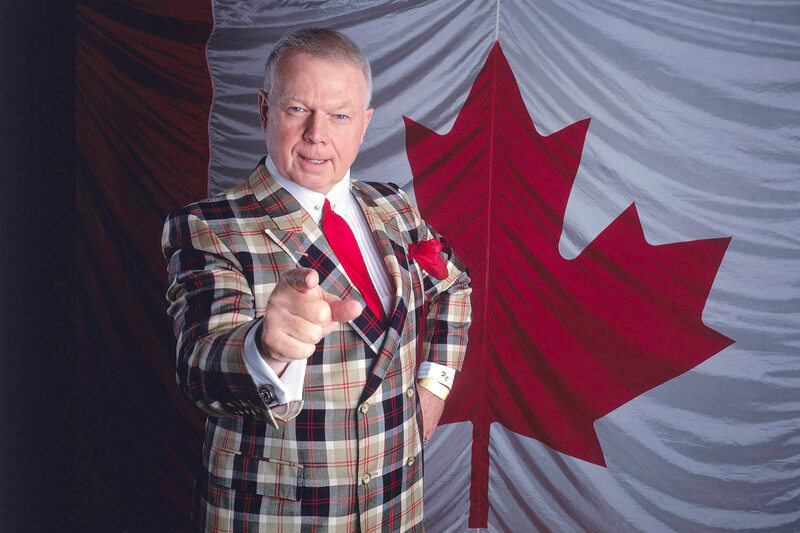 Walk into a bar, or an NHL press box, when his first-intermission segment comes on and the huddle around the television will tell you all you need to know about his standing in the sport. 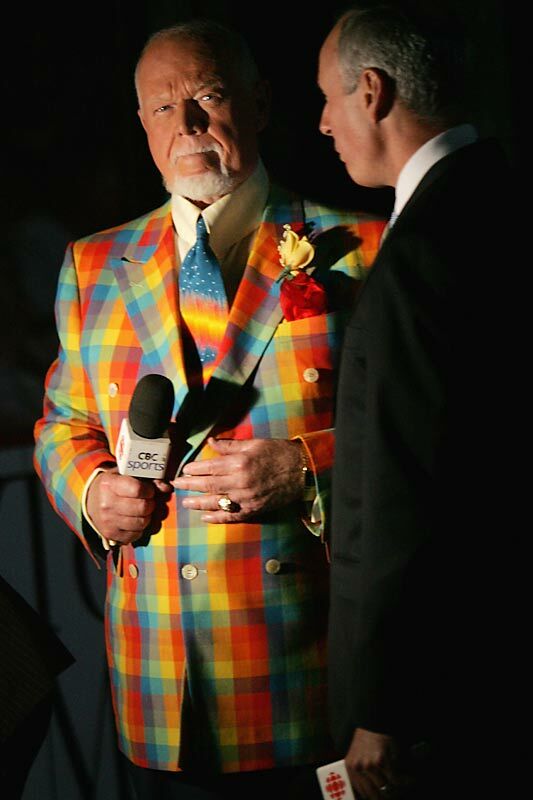 Don Cherry is renowned for his sartorial splendor and nothing—we mean, nothing—says "famous NHL commentator" or "kid show host" quite like the plaid rainbow warrior look. 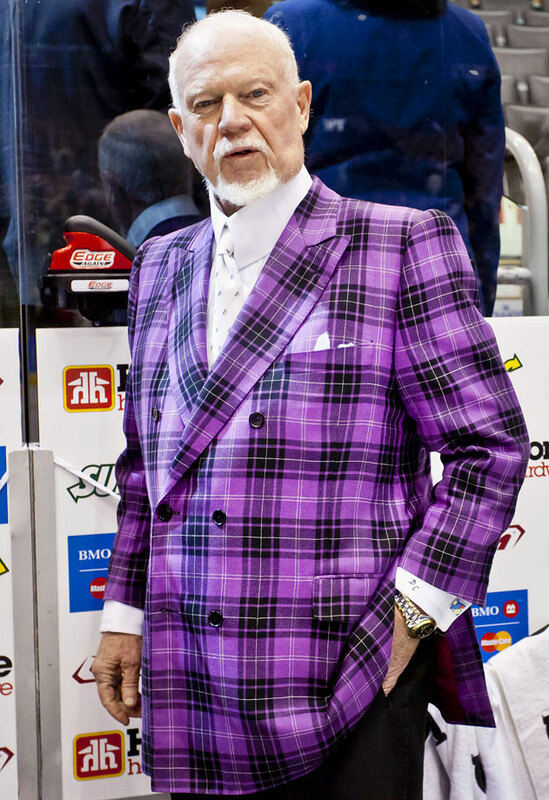 The purple passion ensemble. Perfect for pitching woo at the ladies. Attire that always looks good under the tree on Christmas morning. 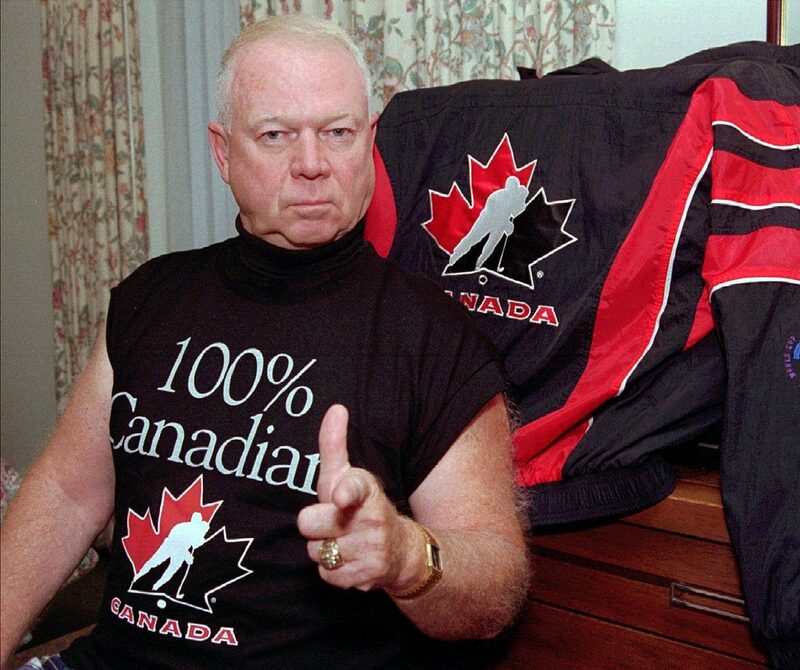 Got a beef with the officiating? Meet ‘em head-on with the Zebra Look. There’s something to be said for subtlety, but let the other guy say it for cryin' out loud. When it comes to natty threads, ya gotta lead by example. Always dignified, no matter the company you keep. This will sharpen you up and serve 'em a bit of the ol' ultra-violet. 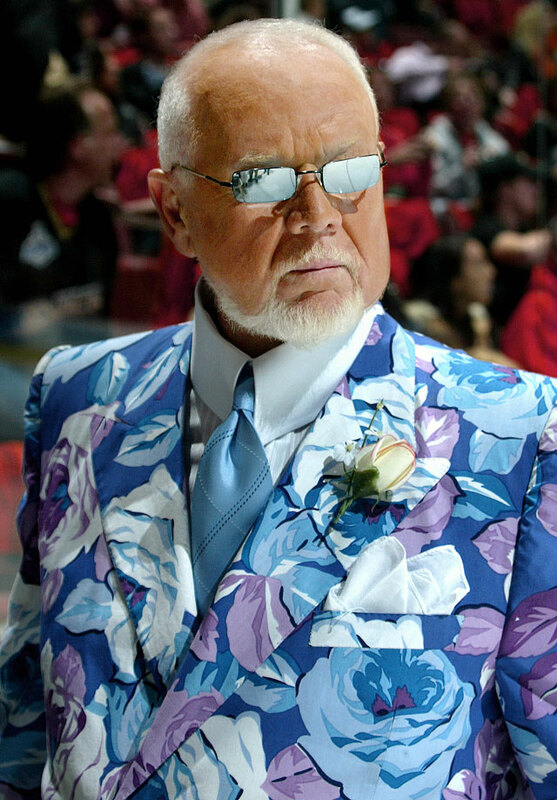 If you're planning to disorient your dinner guests or the opposing team, this is the jacket you want. Planning a tropical getaway or a fruit fight? 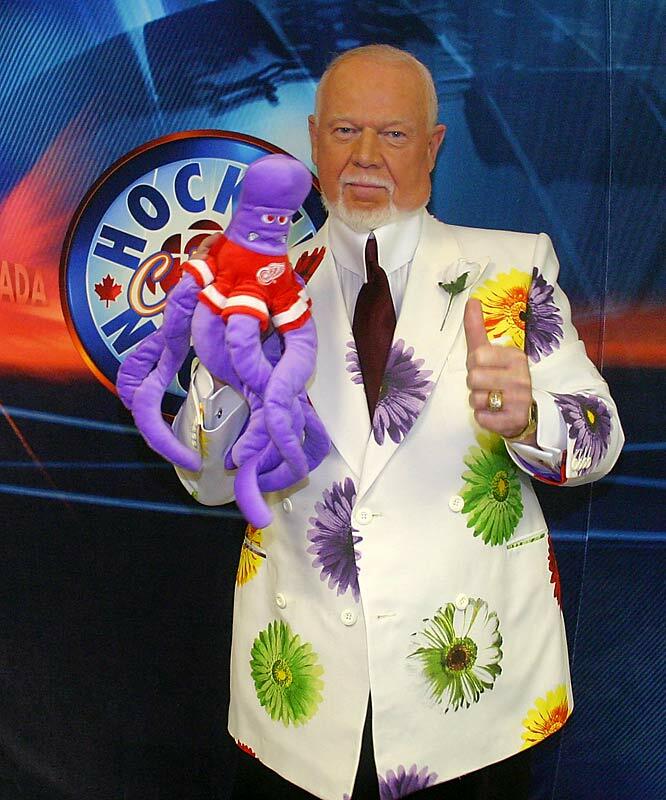 Don's got the jacket for you. 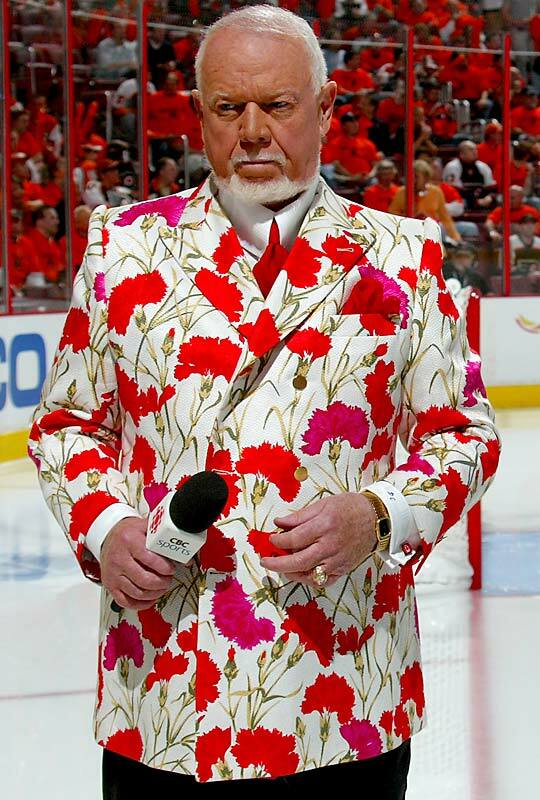 Nothing says "the sweet smell of success" like floral arrangement evening wear by Cherry. This look is appropriate for more solemn gatherings with unwanted relatives, bill collectors and other opinonated types. 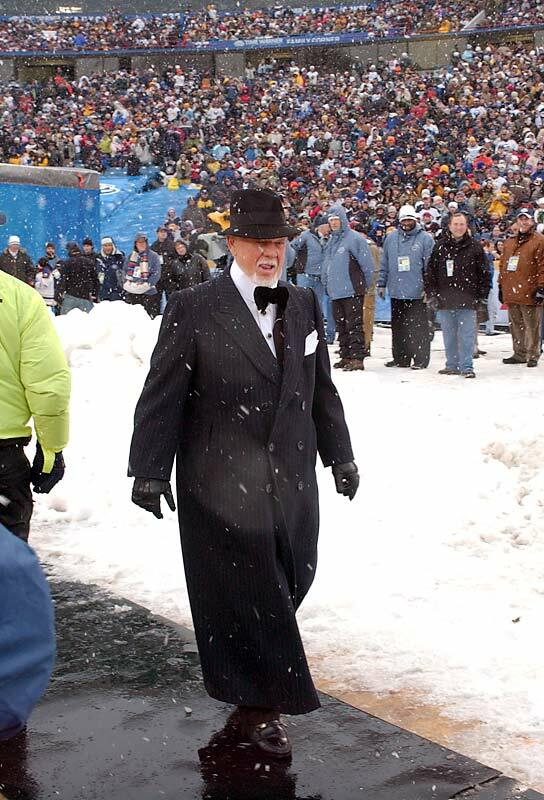 Rockin’ the Secret Service look. 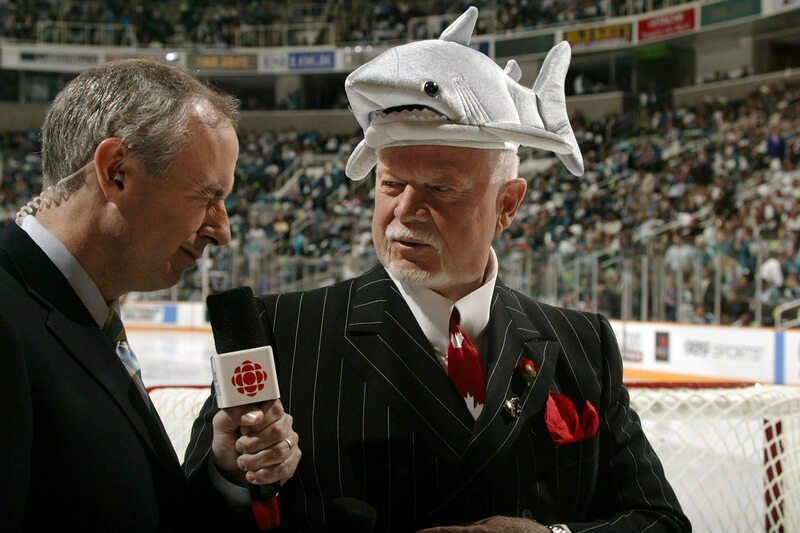 A dignified gray suit calls for some dignified headwear, eh? 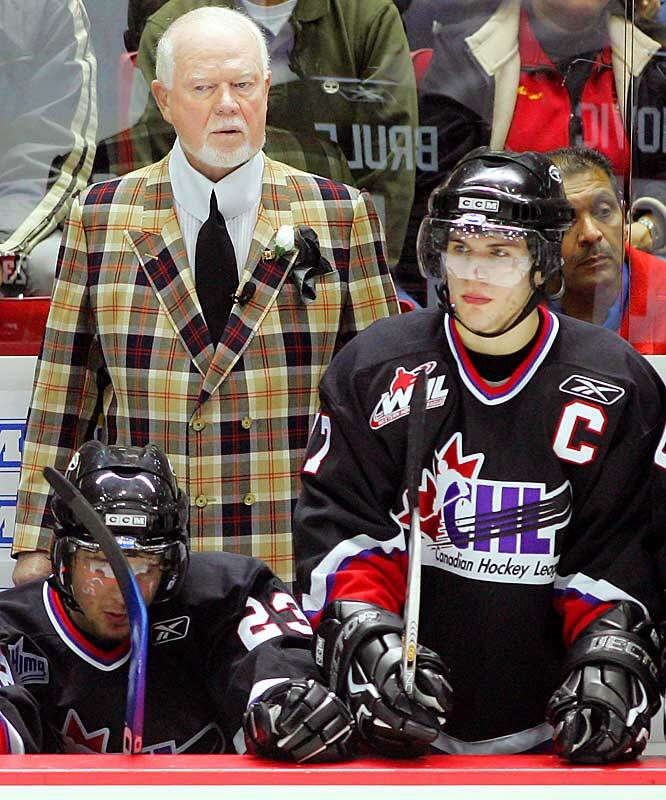 A true leader behind the bench knows that to motivate a floater, you've got to put on the plaid. The louder, the better. 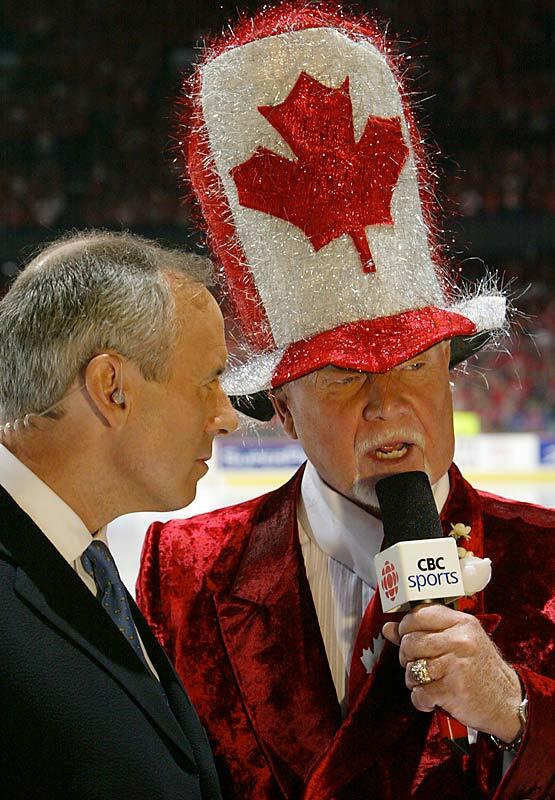 Oh, Canada, Don's hat stands on guard for thee. The hat makes the man. Mardi Gras afterwear exclusively by Cherry. Gotta always look sharper than a Great White's molars. How to grace a construction site. 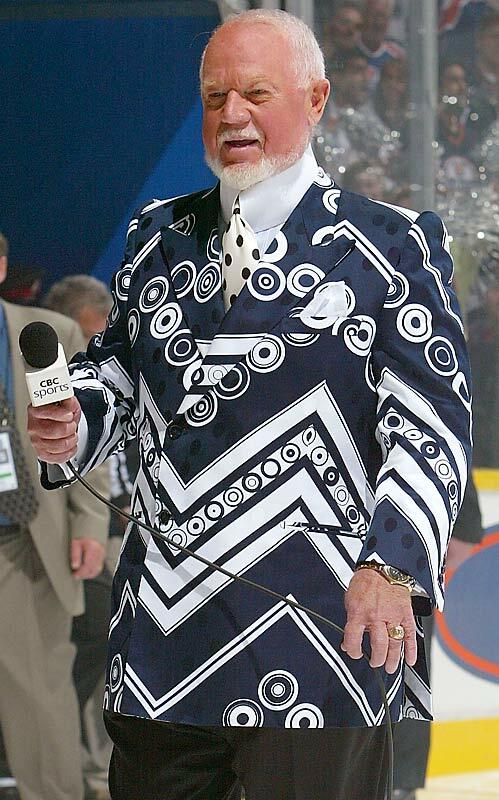 Even the most hardworking hockey commentator needs to kick back in casual wear that doesn't take a shift off from making a statement. You, too, can put your neighbors’ eyes out with a few tasteful selections from my exclusive clothing line. 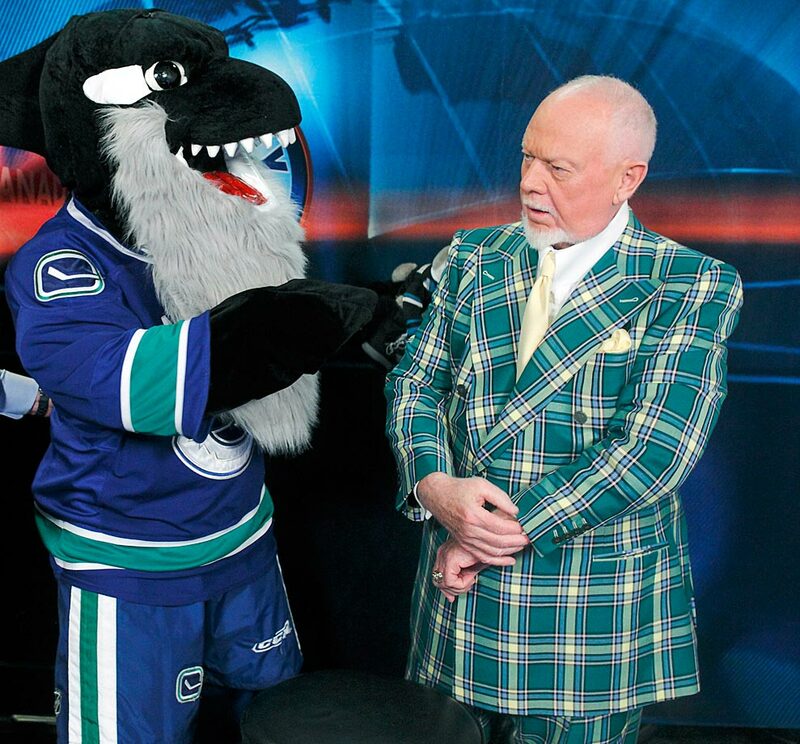 You don't have to agree with him, but when Cherry talks, you have to listen. 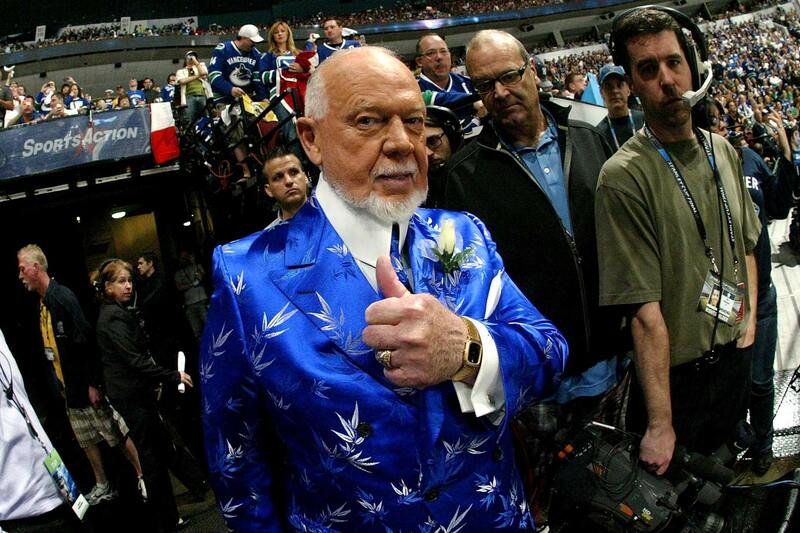 In an era when viral is the currency of the realm, no one in hockey lights up social media the way he can with a single off-the-cuff remark. There's an element of risk, of course. 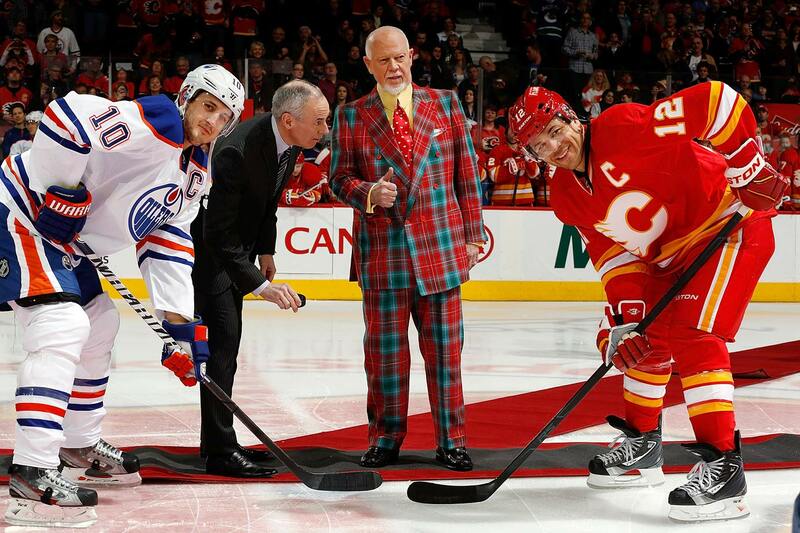 Cherry has embarrassed the network before and he most certainly will again. But right or wrong, he owns it. 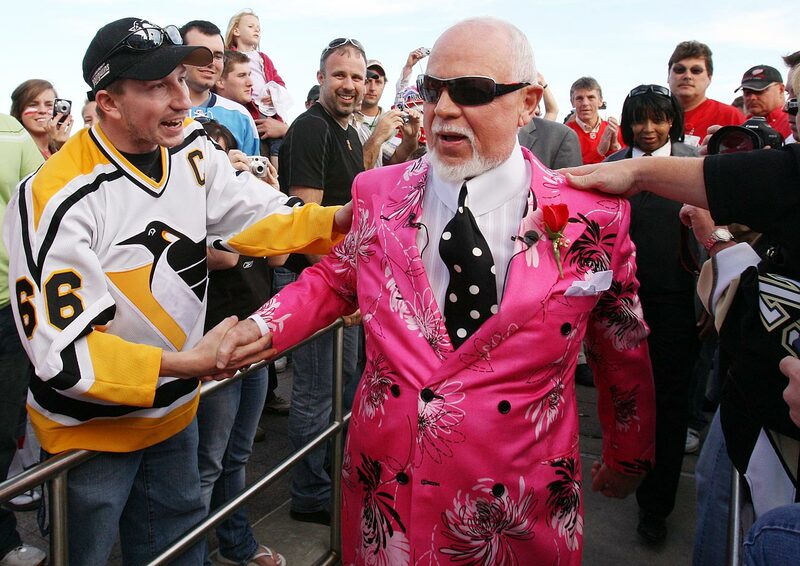 And when he has to back down, as he did a couple years back after throwing a trio of former enforcers under the bus, he does it with integrity. 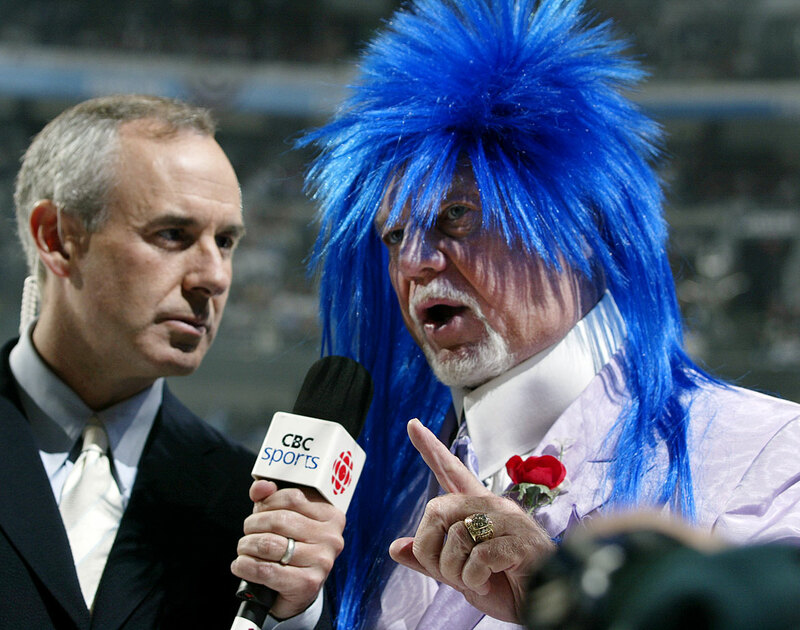 Signing him to the extension then was a no-brainer for Rogers. 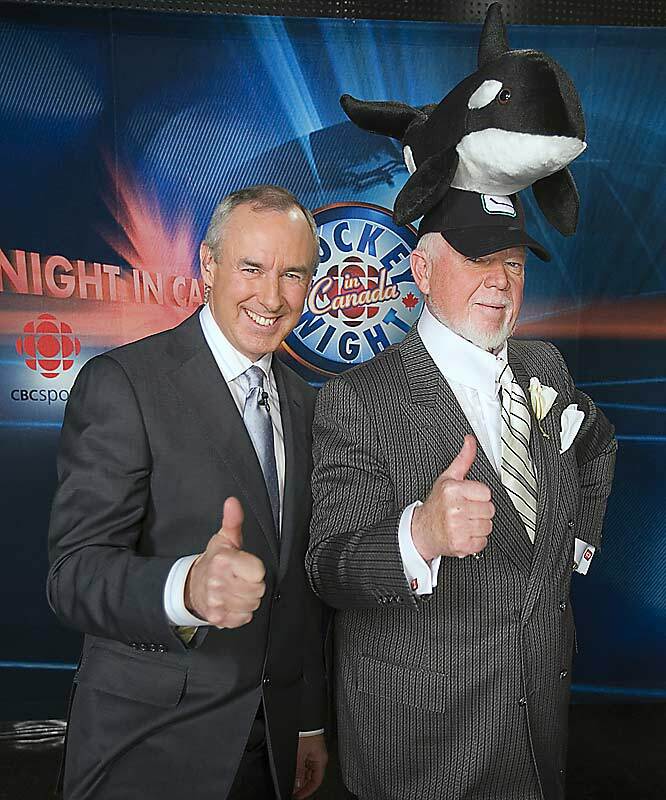 Now if they're really smart, they'll restore Cherry and his long-time partner Ron MacLean to their former position of prominence on the broadcast.